I have always been partial to hardwood floors. Generally speaking, it would be my flooring of choice throughout the house if budget wasn't an issue. It's a good choice for allergy sufferers, and it is also practical and durable in high traffic areas. Same can be said for tile though, right?! But what do house hunters always seem to look for and attribute more value to? Hardwood seems to be the clear-cut winner in that battle. Love this distressed wide-plank solid hardwood floor. I thought of wood tile as a compromise. We can still visually achieve the warmth and texture of wood, but at a more affordable price point (like 50-70% less than the hardwoods I like). But would tile be too cold and "hard" underfoot? Probably. Radiant floor heating isn't practical for us, nor necessary since we live in Southern California. We may as well get hardwood floors if we're going to pay for radiant heating. I can list so many reasons why I love hardwood. Not only is it durable, warm, textural, and beautiful, it also has longevity and popularity across the board - which is good for all resale, whether you're considering to sell or not. However, the one quality that I feel that tile has the upper hand in is with maintenance. 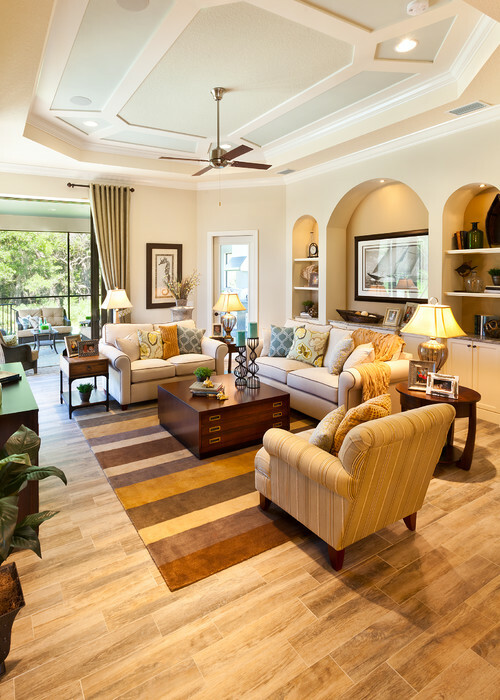 Wood tile floors. 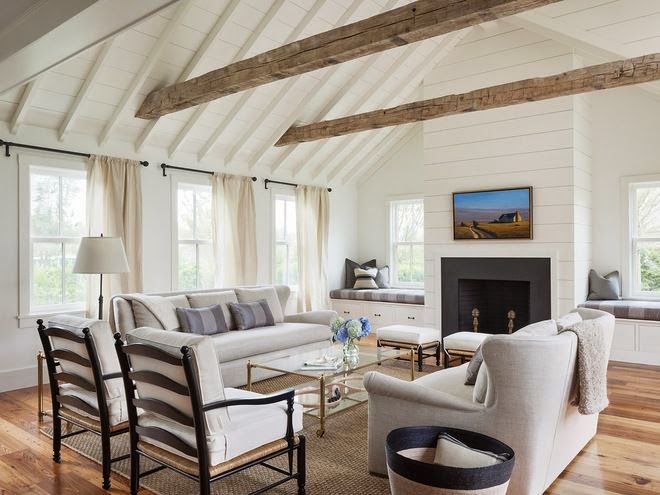 Image via Houzz. Hardwood floors. Image via Houzz. Aside from solid hardwood or engineered wood (which we are also considering), some have also mentioned laminate wood flooring. While also a practical and durable option, laminate isn't on our radar. Don't get me wrong, as I would totally recommend quality laminate floors. My parents' house has a mix of real hardwood and laminate, and I've also seen nice laminate floors installed in many homes. 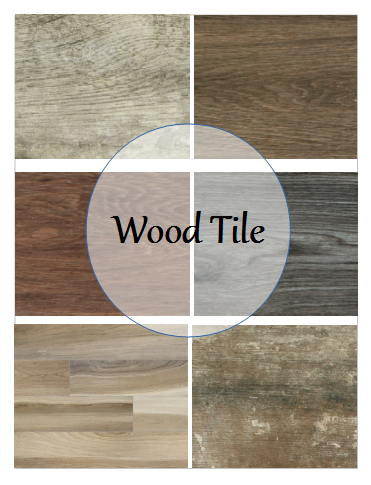 We just narrowed down our options to hardwood or wood tile. The floors look awesome. I have seen Reclaimed Oak Floorboards and will be installing soon. Thanks for sharing. Keep exploring. Thanks Melissa! We ultimately chose to install a wide plank European oak engineered hardwood. Can't wait to see it installed! Yes definitely if budget is not an issues then we all are looking for good and high class of flooring for our house. Most probably flooring is become of the center of attraction of every house and therefore we should develop our interior and exterior through good polishing woods and constructions. 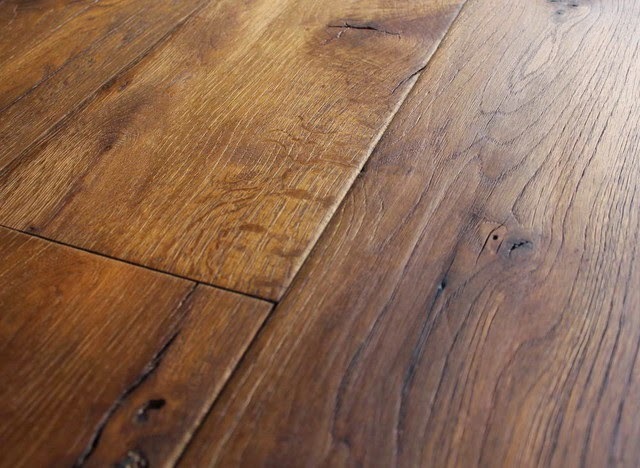 Mostly woods are the first choice for flooring and it will give a finishing touch to our work.